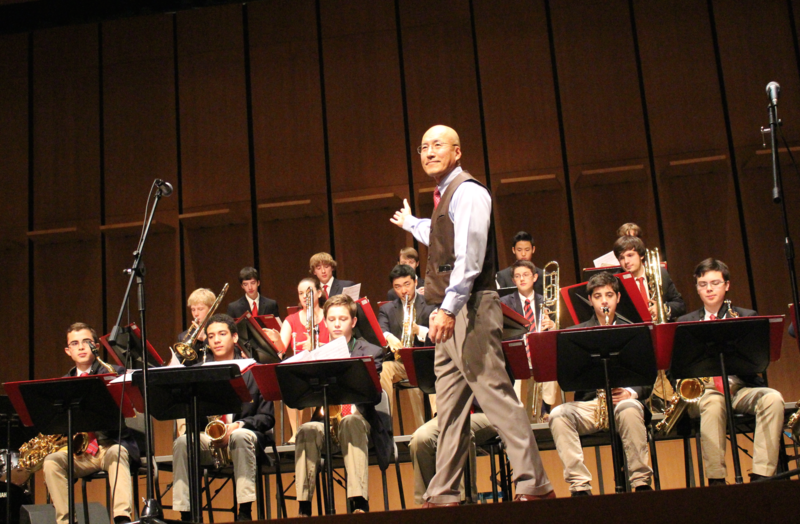 The Greenwich High School Band Program, under the direction of Mr. John Yoon, will once again host an Essentially Ellington Regional High School Jazz Festival. This education-focused music festival is designed to offer high school jazz bands the opportunity to perform the music of Duke Ellington and other seminal big band composers. This year, over 15 high school bands will participate and receive professional feedback from Jazz at Lincoln Center clinicians and other jazz professionals. Come to the GHS Performing Arts Center on Saturday, March 23 for a day of jazz. The music will begin at 11:00am. Each band will perform for approximately 30 minutes. This program will conclude with a Judges’ Exhibition Performance at 6:30pm, followed by an awards presentation. An admission ticket ($10/adults, $5/children & seniors) allows you to enter and exit, at your convenience, for the entire day. There will be a wide selection of refreshments for sale, such as deli sandwiches and baked goods. Proceeds from ticket and refreshment sales will help to support future competitive band programs and trips. We look forward to seeing you during this exciting day of jazz!